What better way to start the Holiday season than under the warm Caribbean sun? Do not be deceived though, our four professionals will not be vacationing in Antigua but will fly in for the 2012 Antigua Charter Show that will take place this year December 2nd-9th in three marinas on the island: Nelson’s Dockyard Marina in English Harbour, The Falmouth Harbour Marina and the Antigua Yacht Club Marina both in Falmouth Harbour. This year’s edition of the show will showcase over 100 of the world’s most luxurious charter vessels, including five Sunreef Yachts catamarans: IN THE WIND, ABUELO, DAMRAK II, SKYLARK as well as IPHARRA. 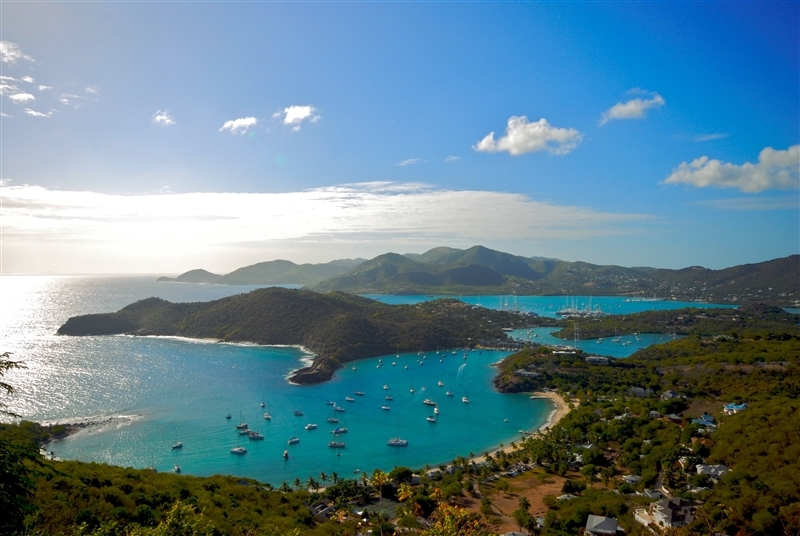 All of the islands in the Caribbean being undoubted winter hotspots, it is nonetheless Antigua that steals the show the first week of December. Sunreef Yachts Charter experts understand that clients’ priorities are the key to success and this is why the week spent in Antigua is a very constructive period. 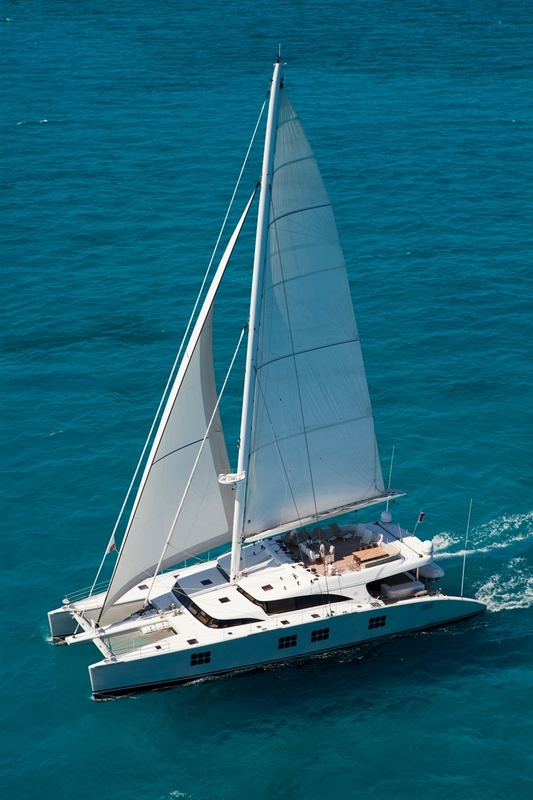 We will inspect yachts to get an up-close and personal view of various types of charter yachts including luxury catamarans, luxury mega yachts, luxury powerboats and charter sailing yachts. This meticulous review allows us to recommend only the best yachts available on the charter market to our esteemed clients. Nothing escapes our critic eye. Just like our clients, we value only the highest quality of onboard service and cuisine as well as the best presentation to later meet our clients’ individual needs. Year to year a staple feature of the show, the “Concours de Chef” is a highlight competition to follow. 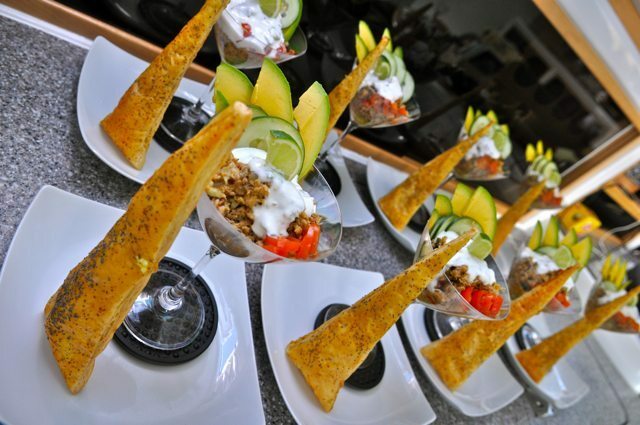 Participating Chefs are masters of refined cuisine and even the most discerning charter guests will be pleased with solutions meeting their dietary restrictions. 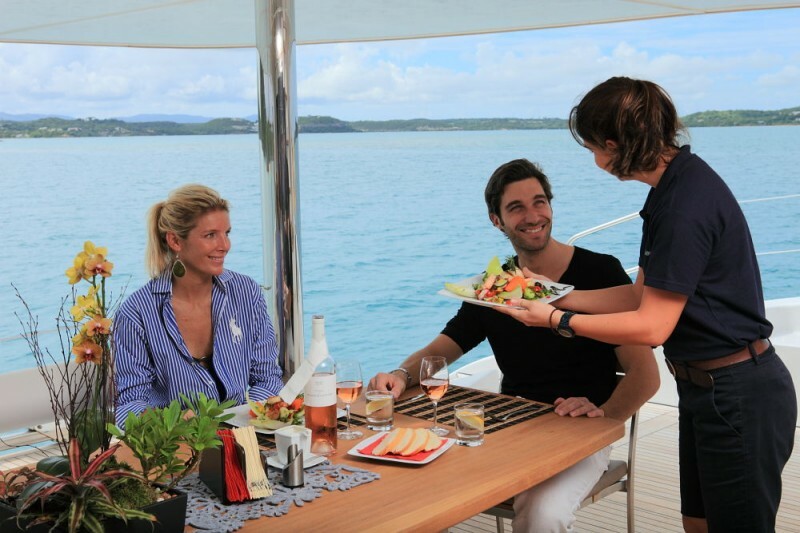 Sunreef Yachts Charter is proud to engage award-winning Chefs and the crew of luxury catamaran SKYLARK is no exception. A talented and devoted gourmet Chef, Caro Uy was awarded not only during last year’s Antigua Charter Show but also during the 2010 BVI Charter Yacht Show Culinary Competition in several categories. Please click here to view a sample menu prepared by Caro. Please contact us at charter@sunreef-charter.com to meet us during the show and visit with us IN THE WIND, ABUELO, DAMRAK II, SKYLARK, IPHARRA or any other catamaran, mega yacht, powerboat or sailing yacht participating in the show.